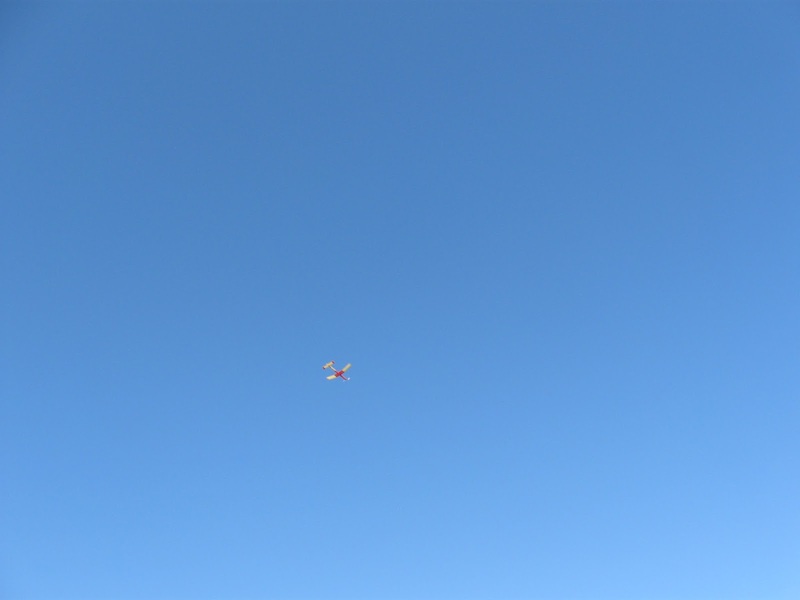 This is my 1982 Blue Ridge "Square Eagle" P-30 at the Lewistown International Airport at about 5:30p.m today. I only got two flights in; the first with 250 turns and the second with a hair over 500 turns. There were hordes of little black flying ants and I had to leave. I drove down-a-ways and they were there also. So, I left. 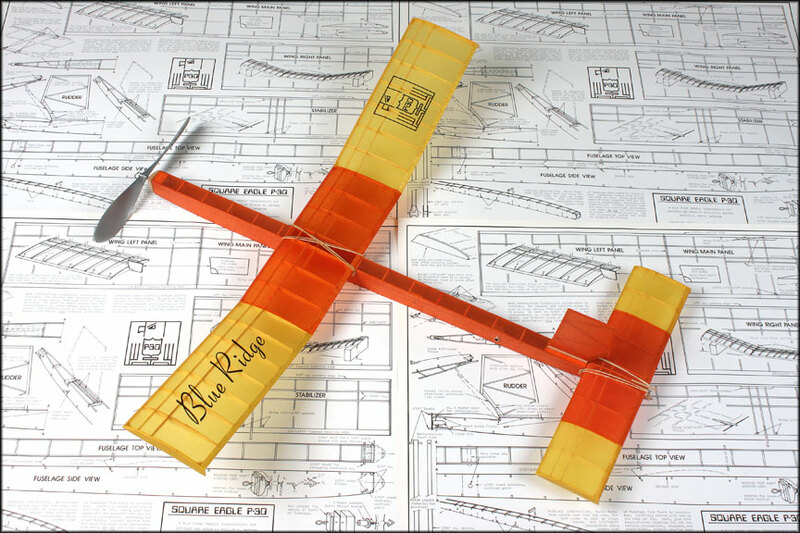 This model has many flights on it and is always a stable, good flying model. I hope PAL Models and Bob Langelius resume kitting this model. p.s. I hit that tower in the background coming in on the second flight but no harm done.